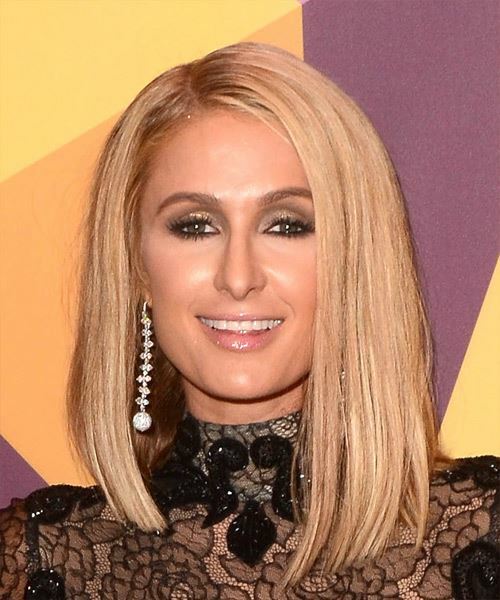 Paris Hilton flaunts a sophisticated bob here with fabulous results. This blunt cut bob is blow-dried perfectly to smooth down the top while turning the ends slightly under for a chic finish. One side is cut shorter than the other for a quirky asymmetrical look that adds some edge to her classic bob. Regular trims are needed to maintain this hairstyle, and the color will benefit from regular root touch ups. Blow dry the hair with a large round brush to create this sleek look.